Fun Novelty light set for the golfer in your family. 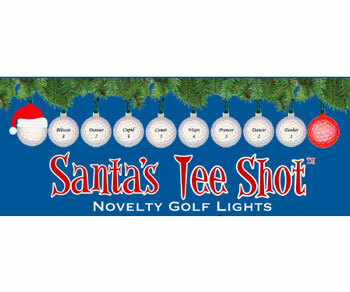 Golf ball lights with Santa. The eight reindeer and a red on for Rudolph designed as a golf ball. Each Reindeer ball has a name and number.